Our Roman legion Legio VI Ferrata ("Ironclad") welcomes new recruits and can fit you in loan gear for a try-out to see how you like it. We are a display club, but you can perform in choreographed fighting if you wish. New members are mentored by the club captain who will show you the ropes to make sure you have a great time. 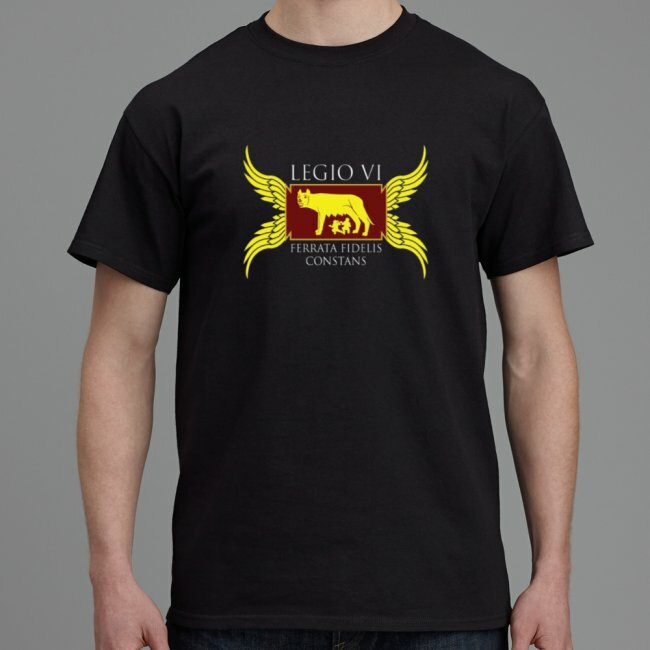 We respect the input of all members, so if you've new ideas you'd like to try, we'll give it a good Roman go. Our main goal is authenticity, so we wear genuine Roman metal armour based on historical evidence (as opposed to "Hollywood Romans" in plastic outfits). All of our weapons are real, and we train to use them in the proper ancient manner. New members provide their own linen tunic and caligae (Roman hobnail sandals), but we can help you with this. The basic dress of the Roman legionary includes helmet, sword, balteus, dagger, and either lorica segmentata or chainmail armour. The club can provide big discounts and help selecting your gear. The club provides parade shields or combat shields and pilums, as needed. 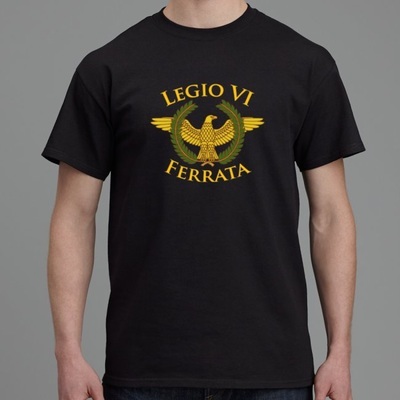 We also give you a free legionary cloak, and a custom club t-shirt. 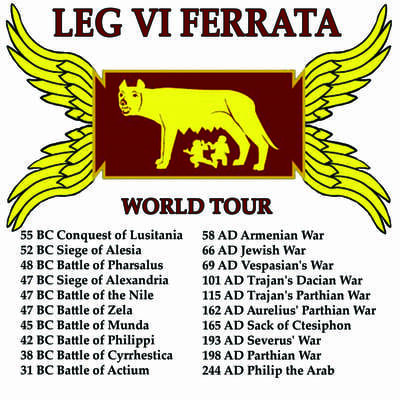 You will choose your own Roman name and be provided with a legionary signaculum, the equivalent of modern army dog-tags, worn to identify Roman soldiers. Over summer we train at public parks for promotional exhibitions. 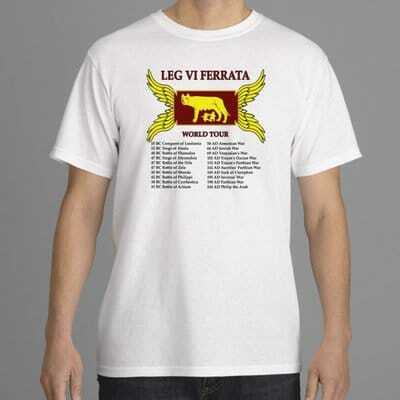 We use simple Latin commands and marching formations to execute group maneuvers. Our ranks include Roman legionary, Centurion, Optio and Signifer (Standard-bearer). Our simplest events are marching in street parades, such as at the Queen Street Santa parade where we have the whole street to ourselves providing the pre-parade entertainment. In our Roman displays we will engage in shield-charges at the audience with drawn swords, form shield-walls to discharge blunt pilums at the enemy, advance in vallum or testudo formation against archers discharging blunt arrows, and dodge missile fire from our genuine Roman ballista. These shows are dynamic and exciting events. You will also have your photo taken constantly by the public wanting selfies with a Roman. Besides training and performing at public displays, we meet up for social events, pot-luck dinners, movie nights, and to discuss all things Roman. We have a Great Library of Roman books, audio-books, e-books, and movies for loan. The club captain has a full-sized Roman temple and Pompeii-type fountain complex in Grafton that you are welcome to visit. We make and maintain our own gear, which includes leather crafts and metal work besides many other disciplines. 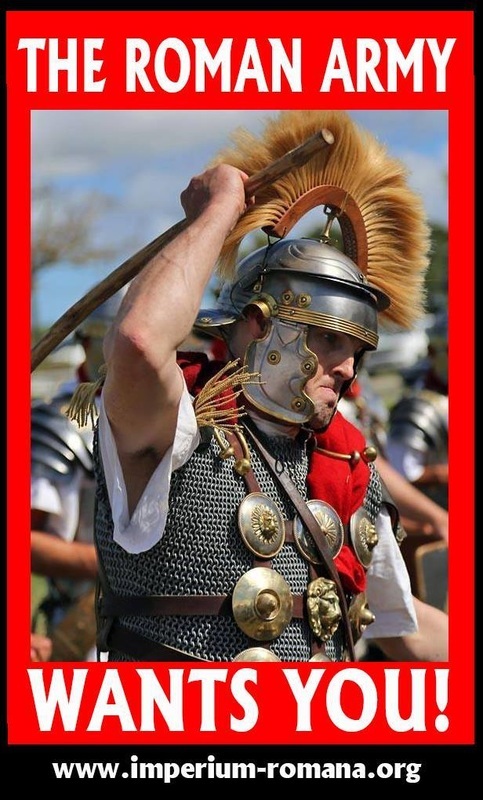 At Armistice Cambridge we construct a full-sized Roman camp in conjunction with other Romans from all over NZ. 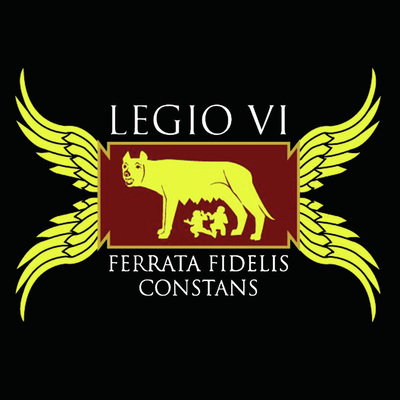 We liaise with other clubs, Legio X based in New Plymouth, and Legio VII Inferus that specialises in siege artillery including a giant trebuchet. We are allied with Roman clubs in the USA and Europe, who provide us hospitality when travelling to attend their world-class events. A video showing the expansion of Rome year by year including the reigns of the Roman emperors.